Find aviation jobs that’ll further your career faster by enhancing your LinkedIn profile with these handy tips. With over half a billion users worldwide, LinkedIn has become the go-to platform for job hunters and employers alike. That’s why it’s so important to make sure your LinkedIn profile casts your employability credentials in the best possible light. A clean, well-formatted profile makes it easier for employers to find information and reflects on your working practices. Come up with a set structure for your job entries (e.g. ‘objective’ followed by ‘result’), use dynamic language and make your biggest achievements as visible as possible. ‘A picture tells a thousand words’, so make sure yours is professional and well-composed. First, choose a recent photo that reflects how you look on a day-to-day basis. Wear your professional attire (even if branded) to show prospective employers how you look in action. Adopt an approachable smile and check your face takes up at least 60% of the frame, et voilà. Exaggerating certain elements or using flowery language to cast yourself in a better light will only end up obscuring the truth, putting off potential employers. Honesty and transparency are highly valued. So, use simple, professional language to describe yourself and your experiences. Wherever possible, use known aviation industry terminology as this aids employers’ candidate search process. Promote skills and experiences your rivals might not have and explain how these provide added value for employers. For example, if you’re applying for cabin crew jobs and have silver service experience, foreground this aspect and detail how this honed your approach to customer service. Or, if you’re able to converse in languages other than your native tongue, describe how this ability can help put passengers at ease and personalise their experience. Your professional network reflects on you. A lack of connections, or too many irrelevant connections will indicate you’re not that serious about your career development. Look for opportunities to build your network organically yet strategically. Connect with industry and thought-leaders in aviation in addition to those you work with on a daily basis. 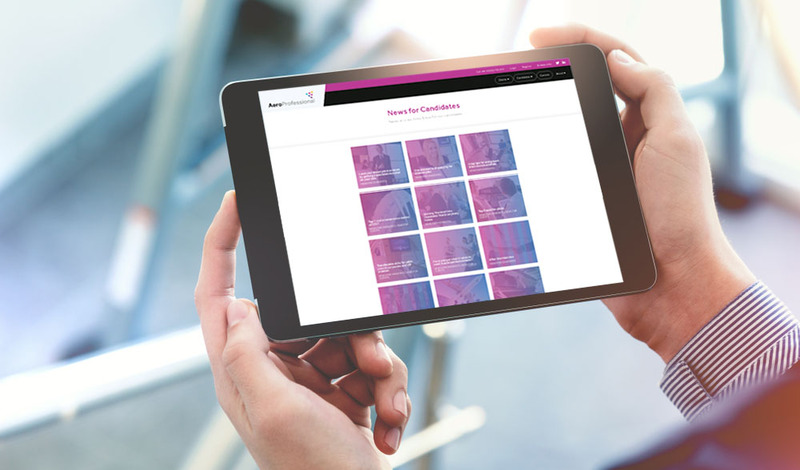 Whether you’re a cabin crew member, pilot or board-level exec, join the exclusive AeroProfessional closed network to keep up to speed with the latest job posts and aviation industry insights. Take a proactive approach towards endorsing the skills of people you work with, or have worked with in the past. Not only will this show that you’re engaged and aware of the skills needed to succeed, chances are you’ll receive a decent number of endorsements in return. Involving yourself in industry-related discussions is a great way to showcase your knowledge and passion for aviation. Adopt a positive, constructive tone and share your ideas/analysis relating to current issues. This will show that you’re an intelligent, engaged employee as well as helping you gain additional exposure among prospective employers. Serious about wanting to find aviation jobs? Discover what a specialist aviation recruiter could do for you. Enhance your LinkedIn profile and future aviation career with a little help from the expert AeroProfessional team.